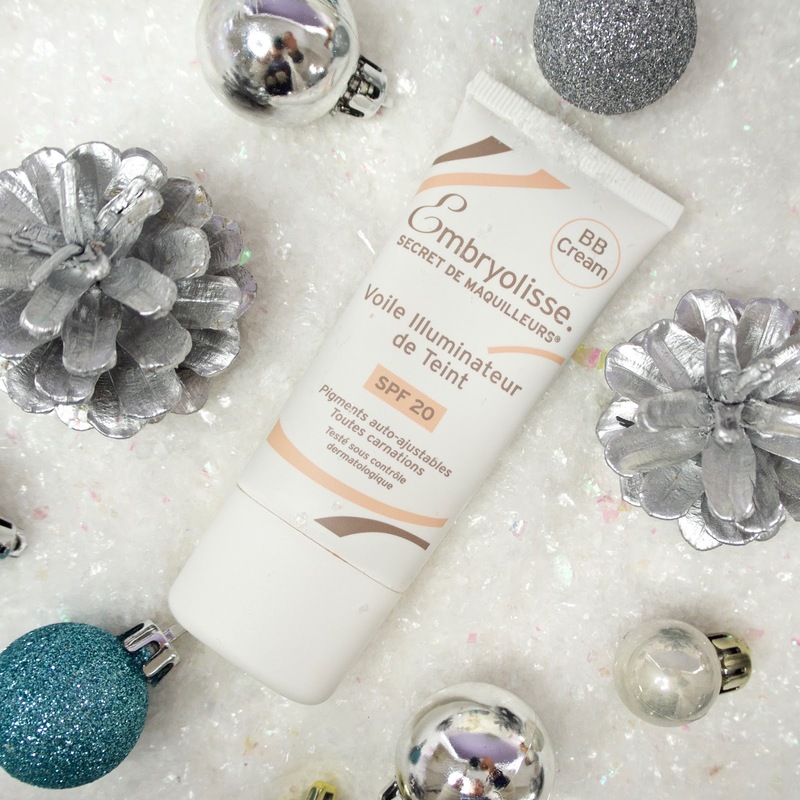 So starting with probably the best known Embryolisse product - this is the one I've always mentioned which is loved by makeup artists as a base for makeup. What I didn't realise when I tried this before is that it's not just a makeup priming base - you can also use it as a cleanser and a mask - who knew?! I still find this product pretty heavy for my skin in the oilier areas, but on dry patches it's fabulous. I've tried using this as an overnight mask with great success - my skin is really well hydrated and dry patches look much better by the morning. I've also been enjoying using it under my foundation but just on the driest areas - under my eyes, around the nose and mouth - and this has really helped with foundation clinging to those areas and looking unslightly! If you have dry skin, I think this is really worth a try if you struggle with getting makeup to sit right. The second product I've tried it the Intense smooth radiant complexion. As soon as I lifted the lid and took a swipe at the product I knew exactly what this reminded me of - Charlotte Tilbury's Magic Cream. The texture feels so similar to me and the results are comparable too. I'd say this is a little richer than the Magic Cream as when I initially tried it I used too much, so a little goes a long way for me. Perhaps you'd use more on a drier skin-type. 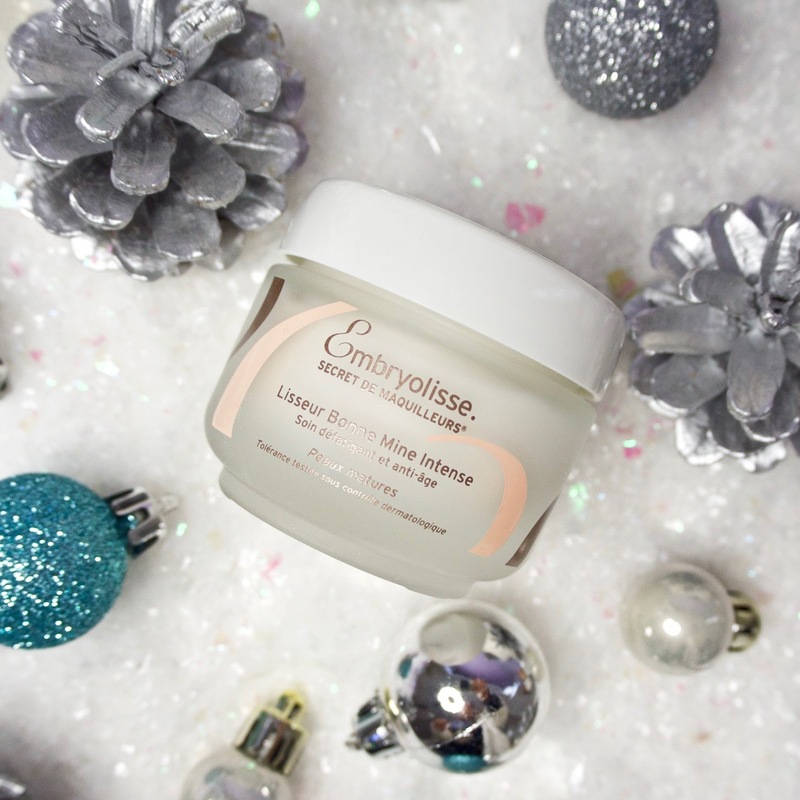 This is a fab daytime moisturiser for me in the winter when my skin is extra-dry - it also has anti-ageing properties to firm the skin and reduce lines. I felt I got the most benefit from this using it while I was poorly after a virus before Christmas. When I'm ill it really shows in my skin and my face completely dries out, so this was fab for making me look more alive! I'll need to try it with all of my different foundations and also see how it fares once we get into spring and my skin isn't as dry, but I think it's a pretty good alternative to the CT moisturiser - especially considering it's half the price! I've also been trying the Rich Moisturising Cream, which is a day or night intensive moisturiser. I've tried this one during the day and I found it to be a little bit like a lighter version of the Lait-crème concentré. I was able to use this one sparingly all over my face without it being too rich on the t-zone, whereas at night I can go to town and slather it on! This one's good for daytime for me, and I can use something like the Lait-crème concentré at night for that super hydrating boost. It's probably also good for younger dry skins that may not need the anti-ageing benefits of the Intense smooth radiant complexion. This BB cream has been one of my favourites for a while now. It's like a tinted moisturiser with really great coverage. It's something I like to have on hand for lazy days when I don't want to do full makeup but I also don't want to be totally bare-faced. I also love this for holidays as it's light and it has SPF 20. 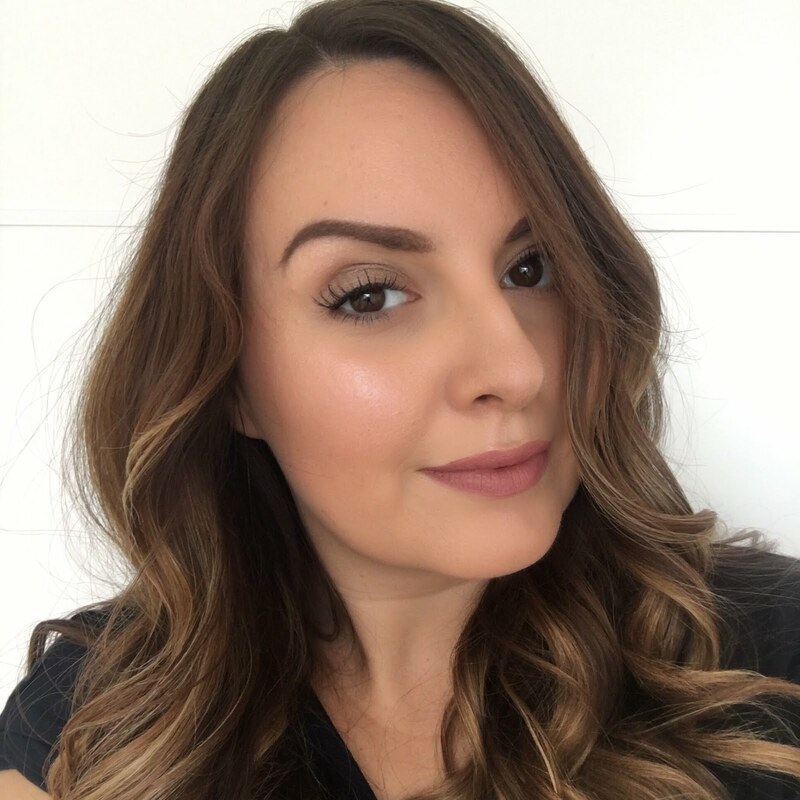 The BB cream works wonderfully over the top of the Lait-crème concentré for me too - it really makes the BB cream glide onto my skin and I get a really natural looking dewy finish. 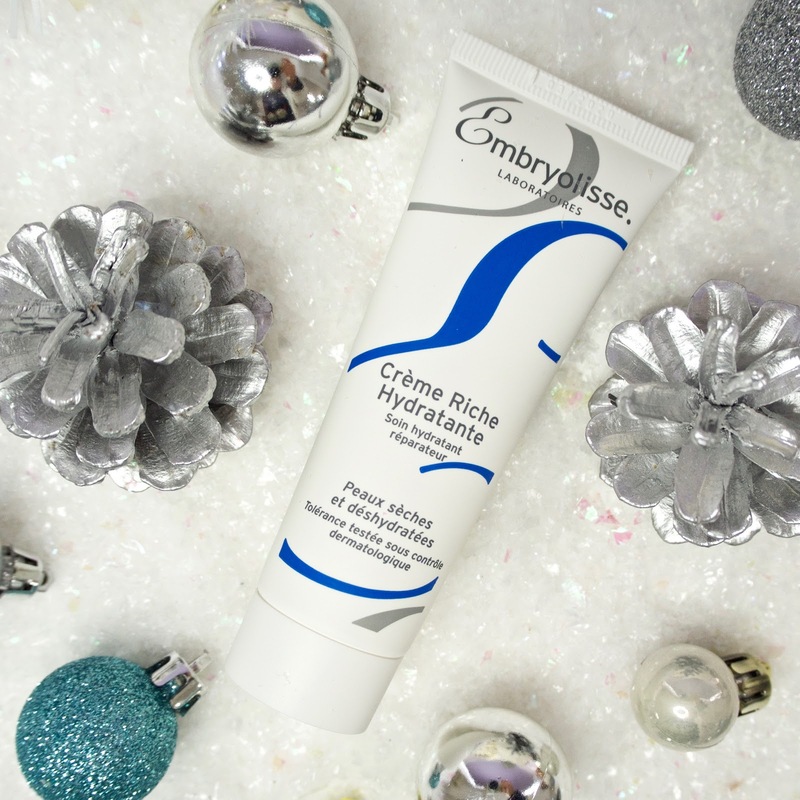 Embyolisse is really widely available now - you can find products at Boots, Feelunique and Beauty Bay. 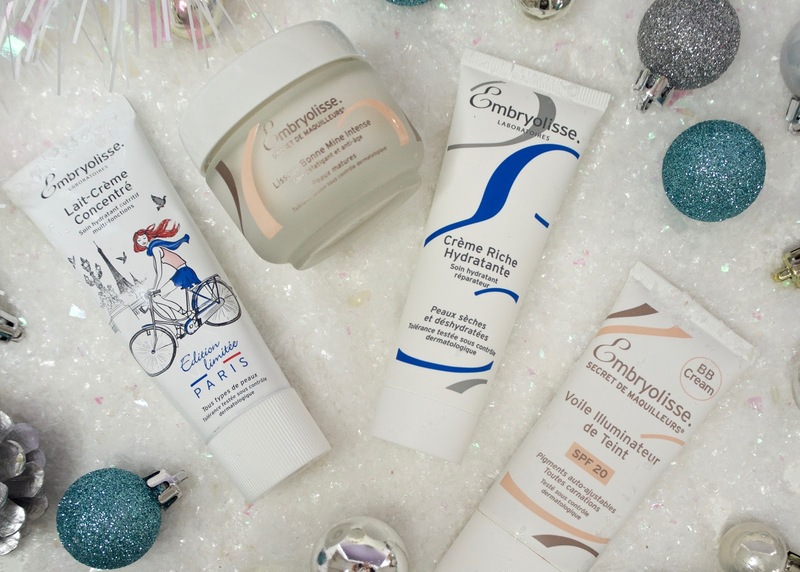 Have you tried anything from Embyolisse?